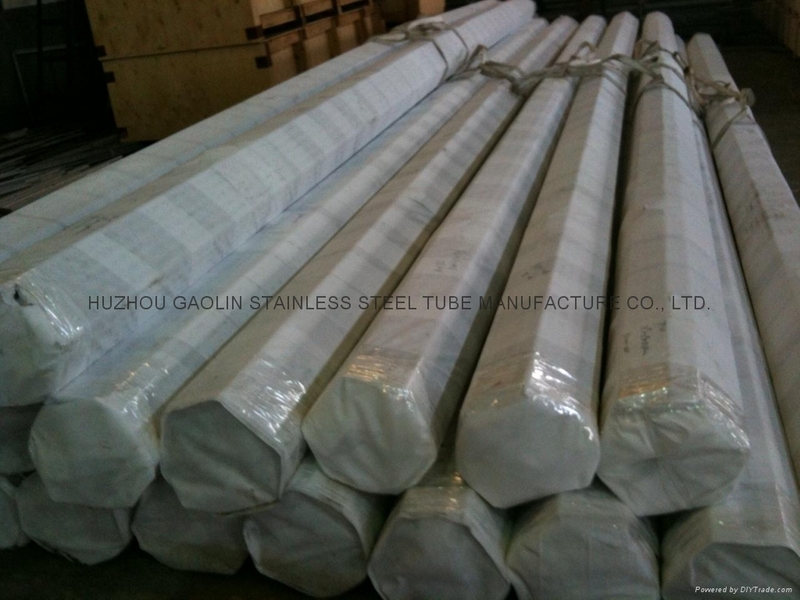 This packaging is usually used for the stainless steel pipes&tubes, with samll outer diameter and thin wall thickness, who needs special protection. At most times, within the wooden case, it is lined with waterproof cloth or paper. If required, drier is also available in our company. 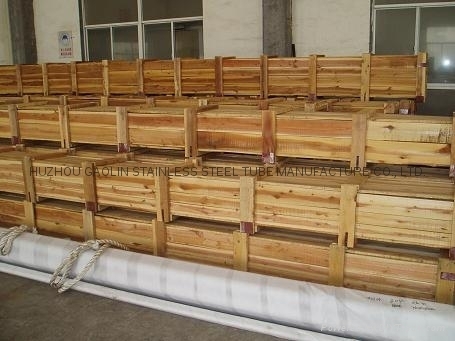 In this way, the pipes&tubes can be kept in a dry and safe environment. 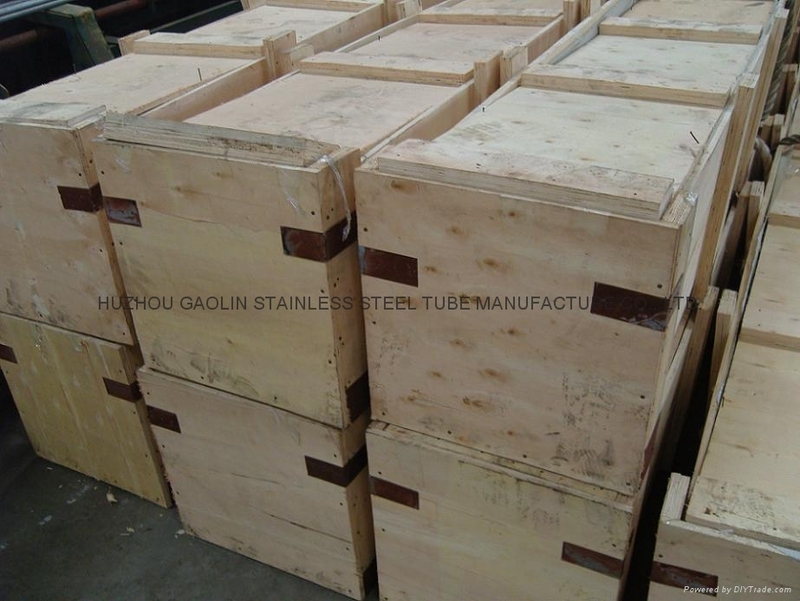 This packaging is usually used for, the stainless steel pipes&tubes with samll outer diameter and thin wall thickness. At most times, within the plywood case, it is lined with waterproof cloth or paper. If required, drier is also available in some cases. In this way, the pipes&tubes can be kept in a dry environment. After products been loaded into the plywood case, many steel rods were tightened across the case and as the corner. The plywood case would be hardened in this way. This packaging is usually used for big OD, thick WT or within FCL, which is impossible to pack in case or not eaily to be broken. In our company, the outer side of thie package would usually be protected by some waterprooft cloth. This can guarantee the goods in good condition in the sea freight process.